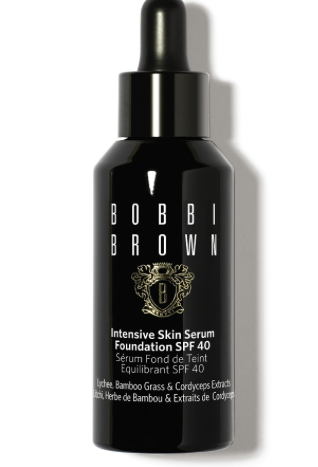 The New Bobbi Brown Intensive skin Serum foundation seek preview and review! This is a liquid foundation which comes with a pipet applicator. It is Formulated with Lychee, Bamboo Grass and Cordyceps Mushroom extracts. Now I am not a dermatologist but these ingredients work! My skin feels lovely! I have dry dehydrated skin and since using this foundation my skin looks dewy, radiant and I haven't had any breakouts. The foundation claims to have a powerful combination of serum ingredients which help to support the skin’s cellular energy and also offers key anti-aging benefits for a smoother, firmer, more lifted look. I have been using this in the colour sand. For a comparison I would say this is most similar to my Chanel Vitalumiere Aqua foundation in texture. Here is a swatch of the two together. I wear the Chanel in 20 beige.